On this day, after four months and 17 days, the 16th Ohio was finally leaving the baron and windy shores of Texas. The regiment, having received orders the night before to be ready to move at a moment's notice, marched to a landing area on the Matagorda Island beach at Pass Cavallo and boarded two propeller steamships about 6 p.m. The left wing of the regiment boarded a ship named Alliance and the right wing a ship named Exact. By dark, the ships were well out to sea heading east toward New Orleans. General Nathaniel Banks, executing what would be known as The Red River Campaign in western Louisiana, had suffered several defeats at the hands of Confederate General Richard Taylor, who, with a smaller force, had defeated Banks at The Battle of Mansfield, on April 8. Taylor continued to harass Banks' army forcing him to retreat to Alexandria, Louisiana. The 16th Ohio and many of the Union troops along the Texas coast were called back to New Orleans to provide reinforcement to Banks and stop the Confederates from moving any further east. 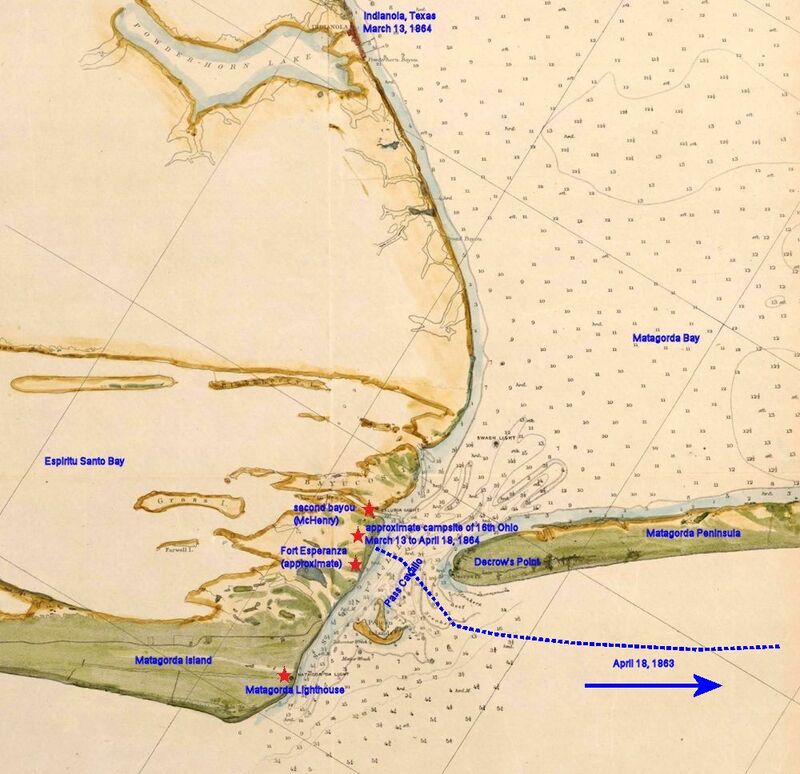 Detailed map from 1872 attributed with the approximate route of the 16th Ohio as it begins its journey from Matagorda Island, Texas, back to New Orleans, Louisiana. Exact position of the ships at the close of this day is not known. Wide view modern day map showing the location of the 16th Ohio in relation to large Texas and Louisiana cities. Red pin - Matagorda Island, Texas, where the 16th Ohio had been camped for several weeks and, on April 18, 1864, from where they boarded steamships to be taken back to New Orleans. 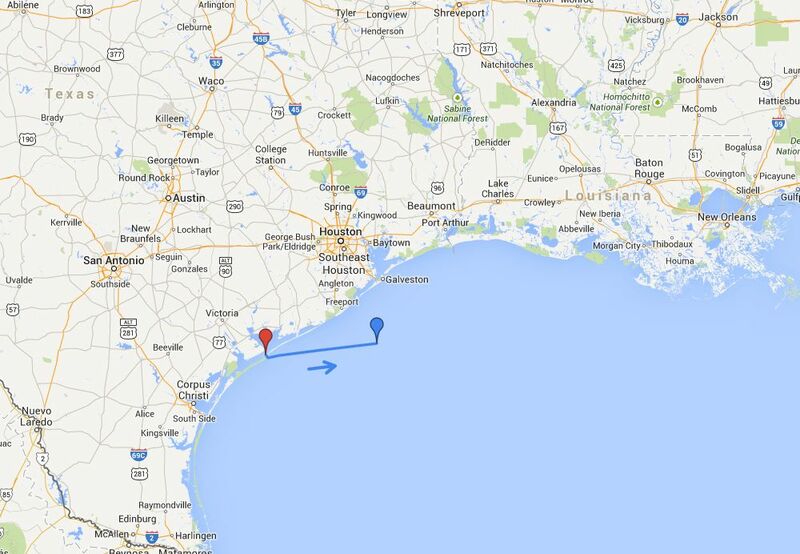 Blue pin - Estimated location of the steamships carrying the 16th Ohio back to New Orleans on April 18, 1864.